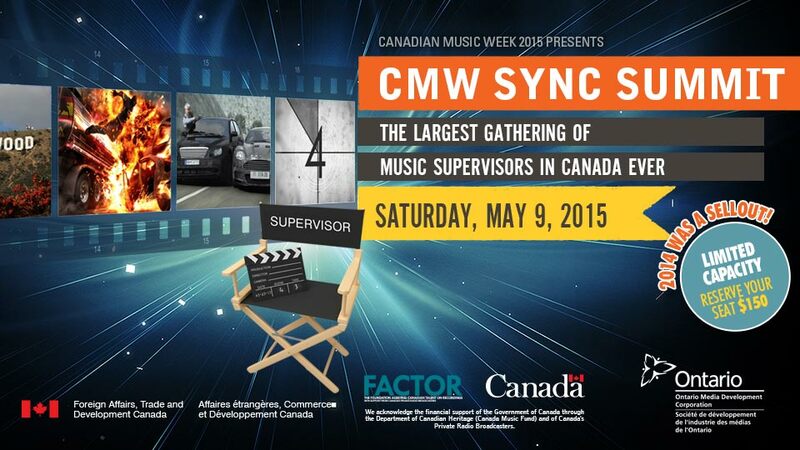 Meet multimedia’s "Top" Music supervisors at Canadian Music Week’s Annual Synch Summit! Speakers participating in this years Sync Summit have worked on a variety of mainstream and cutting edge Indie projects including major television shows, motion pictures, games and iconic Cultural Brands. The Hunger Games, West Wing, Under the Dome, Glee, Mercedes Benz, Adidas, Pulp Fiction, Harry Potter, Spiderman, Pirates of the Caribbean, The Da Vinci Code, X-Men, Avatar, Homeland, Breaking Bad, Shameless, Mad Men, Entourage and so much more!!! By purchasing a ticket to participate in the Canadian Music Week Synch Summit, you will be able to meet each of these high-profile speakers during intimate roundtable sessions. During these sessions you will be able to introduce yourself, pitch and bond with colleagues/music supervisors, composers and build a new direct business relationship! Billy Gottlieb is a Baltimore native who grew up with a passion for all things music. Shortly after arriving in Los Angeles in the early ’90s Billy hooked up with a top film music supervisor and was involved with such classic films as PULP FICTION, CLUELESS and THE BASKETBALL DIARIES. In 1995 Billy helped establish a film soundtrack department at Capitol Records. While there he worked on soundtracks to the films ROMEO & JULIET, CLUELESS, STEALING BEAUTY and the U.S. release of TRAINSPOTTING. Several years later Billy struck out on his own starting Playback Music Supervision. Over the past decade Playback has supervised such diverse film and TV projects as BRING IT ON, THE COOLER, LIKE MIKE, THE TUXEDO, !HUFF, ALIAS, THE TICK, JOURNEYMAN and BONES to name a few. 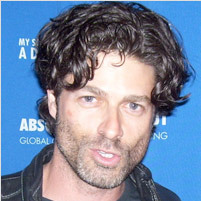 Billy is currently working on the TV shows FRINGE, HUMAN TARGET and FRANKLIN & BASH. Born in Chicago and raised in the ‘burbs, Zach Pollakoff was a music person from early on. Though an avid live music fan and in bands throughout Junior High and High School, it was in college at Indiana University when it really became his life. As a DJ–and later the General Manager–at student station, WIUX, he learned about more about music than ever before. He helped the station make the move to FM and then fought alongside state legislators to keep them there. After a stint of LPFM advocacy, Pollakoff moved to Brooklyn to work for indie giant, Beggars Group/Matador Records as a radio and video promoter. From Beggars, Pollakoff proudly founded Twosyllable Records, a finely curated collection of some of his favorite young artists. Later that year, while working on supervising a film–and founding his band, Eastern Midwestern–Pollakoff was introduced to the advertising industry. He spent a few years working at music and film production companies with some amazingly talented people before landing at Grey Group in 2010. At Grey, Pollakoff has worked closely on Cannes-Lion-winning work for DirecTV, E*Trade and the NFL and has most recently won an Emmy for his work with Canon. Jonathan Finegold is the founder of Fine Gold Music; a licensing, and publishing company. FGM’s includes synch representation of many top indie labels like Westbound (Funkadelic, Ohio Players), Fania (Willie Colon, Ray Barretto) and the music of such artists such as Diplo, Sleigh Bells, Eminem; where they place music into film, TV, trailers, video games and ads. 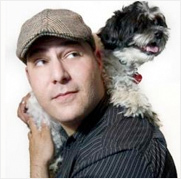 His licensing work has been heard in the advertisements of Apple iphone 5c, Harley Davidosn, Guinness, Candy Crush, Philadelphia Cream Cheese, and more. Movies & trailers include The Butler, Arthur, Project X, The Wrestler, Meet The Fockers, & more. TV shows include: Homeland, Breaking Bad, Shameless, Mad Men, Orange Is The New Black, Entourage, Everybody Hates Chris, Treme, CSI, Ugly Betty, Burn Notice, & many more. Prior to FGM he was an A&R executive for Island records, Q/Atlantic Records and Robbins/BMG and an A&R consuktant where he worked with such artists/prodcuers as Snoop Dog, Fat Joe, Steven “Lenk” marsden, Wyclef John, Pitbull, Dawn Robinson and much more. He has also been an adjunct instructor in music business at the Clive Davis Department of Recorded Music in New York University's Tisch School of the Arts and a former instructor at SUNY Oneonta. Mr. Finegold holds both a Bachelors in accounting and finance and a Masters in arts administration, from New York University. Music Producer, Entertainment Executive, Music Supervisor, Creative Consultant, Licensing Specialist, Music Publisher, Dealmaker, Song Plugger, Engineer, Artist Manager, Musician … John is one of a rare few with equally strong creative skills, technical abilities and business chops. 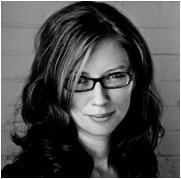 Currently MELILLO serves as Executive Producer, MELILLO MUSIC – a boutique music production and supervision consultancy. MELILLO has produced and placed music for clients including Absolut, Aquafina, AT&T, Bank of America, Belvedere, Blackberry, Budweiser (Superbowl 2009), Campbells, Canon, Chevy, Cingular, Coors, Crayola, FedEx, Fidelity Investments, Ford, Gatorade, GE, Gillette, Guinness, Hershey’s, HP, Jet Blue, JC Penny, JP Morgan Chase, Kellogg’s, Kodak, Lee Jeans, Lowe’s, Macy’s, M&Ms, McDonalds, Mitsubishi, Mt. Dew, Noxzema, Old Spice, Pepsi, Samsung, Sharpie, Smirnoff, St. Ives, Tropicana, Visa, Volvo, Yoplait… and numerous television shows, video games, films and multimedia projects. John played a founding role in the Guitar Hero phenomenon, providing over half of the repertoire and writing the original business framework. John was the first in the music business to monetize You Tube. In 1993 John founded the first division within a major music company to provide a creative bridge between the mainstream music business and the world of branded communication, essentially heralding in the era of convergence between the two media. Under John’s leadership, his EMI Music Resources (at EMI Music Publishing) expanded it’s reach to all media and grew from a one person operation to the gold standard in the industry. After formally studying Television Radio and Film Production with a specialty in sound, MELILLO began his career at the legendary Power Station recording studios as a production assistant and assistant engineer. Witnessing first hand the dramatic shift toward digital technology and the revolution that would affect what were then the temples of sound, MELILLO set his sites on the broader music industry. Over the years MELILLO has held various senior creative executive positions throughout the industry. Boris Salchow has created cinematic music scores and unique soundscapes for some of the most prestigious brands in the world (ADIDAS, AUDI, LAMBORGHINI), award-winning documentaries (Germany From Above), Hollywood and international feature films (80 Minutes, Prom Night), drama television series (BALKO, Wolff’s Turf), and cinematic video games (FUSE, Resistance 2 and 3, Ratchet & Clank, Rainbow Six). Classically trained but just at home in the electronic music world, Salchow’s artistic range and versatility encompasses live orchestra, hybrid acoustic and electronic music, and immersive musical sound design. Salchow began his scoring career writing commercials, promos and prime time television series for leading networks in Germany. Now based in Los Angeles, Salchow has composed for feature films such as the internationally-released action thriller 80 Minutes starring Gabriel Mann, additional music for Elsewhere starring Anna Kendrick, and additional music for the Sony/Screen Gems’ teenage horror mystery and #1 US box office hit Prom Night featuring Idris Elba. Salchow also scored the feature film adaptation of the award-winning documentary series Germany From Above (Buena Vista International) recorded with a 70-piece orchestra and mixed at Babelsberg Studios in Berlin. This visually stunning film is comprised of breathtaking aerial shots of Germany. With only a few words from the narrator, the movie provided a unique opportunity to take the audience on an inspiring musical journey befitting the film’s grand scale. Germany From Above premiered with a special event at Germany’s largest movie theater, where Salchow’s 90-minute score was performed live along with the film. Salchow recently swapped his baton and orchestra for Moog synthesizers and rare vintage audio processors to score Electronic Arts’ sci-fi video game FUSE. The score blends analog electronic elements, adrenaline infused drums and musical sound design to provide a foreboding and rousing sonic landscape for FUSE’s dark futuristic setting and intense action experience. Salchow’s previous scores for video games include Ubisoft’s Rainbow Six: Vegas 2, Sony’s Resistance 2, Ratchet & Clank: A Crack In Time, and Resistance 3. 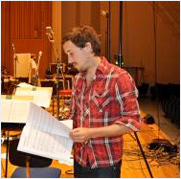 Recorded with A-list musicians at Abbey Road Studios in London, Salchow’s dark, emotional orchestral music for Resistance 3 was hailed as one of the top video game scores of 2011 by Classical MPR. Based in Los Angeles, Boris Salchow is represented by The Gorfaine/Schwartz Agency. 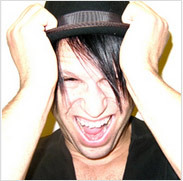 Eric David Johnson (aka DJ Bunny Ears) is a music supervisor, DJ, director, musician, filmmaker, writer, artist, curator, futurist, photographer & producer. Though he is truly rooted as an independent artist, he has spent over thirteen years in the advertising industry, working first at Wieden + Kennedy then at Young & Rubicam New York, DDB Chicago and now at Search Party Music as the Executive Producer. He has worked with such clients as Nike, Coke, Target, Budweiser, Reebok, McDonald’s, LG, Honda, MTV, VH1, Nokia, Campbell’s, ESPN, Bacardi, Dell, Gatorade, NHL, Land Rover, Diet Coke, NASCAR, Xerox, Accenture, State Farm, Colgate, Starbucks, Oreo, EA Games, Mars/Wrigley’s, Skittles, Starburst, TED, IDEO, etc. He has also directed award-winning TV commercials for Nike, as well as music videos for M. Ward, Cursive and Chin Up Chin Up. Currently living in Chicago, he performs/plays in the bands, Pulseprogamming and Riddenpaa, cooperates the independent record label, Fryk Beat and DJs in the crew, Silent Knights. Professionally, he works from a music-centric POV and is a Creative/Production hybrid. 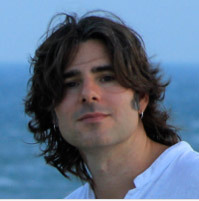 PJ Bloom is one of the top Music Supervisors in the Entertainment Industry. 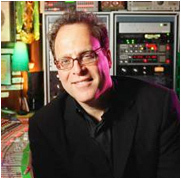 He has created and produced unique soundtracks for over fifty films, hundreds of television episodes, video games, advertisements and even amusement park thrill rides. PJ has collaborated with such prolific filmmakers and television producers as Ryan Murphy, Steven Spielberg, Michael Mann, Jerry Bruckheimer, Ridley Scott and Mike Nichols while rendering his distinctive brand to nearly every studio and network in the Hollywood system and beyond. PJ’s career soundtrack sales tally more than 50 million singles and 13 million albums worldwide. As the Music Supervisor for the entire groundbreaking Glee franchise, his work holds the record for most charted songs by a single act in Billboard Hot 100 chart history, surpassing Elvis Presley, The Beatles and James Brown. PJ is also an award-winning Music Publisher. In 2009 PJ signed hip-hop act Far East Movement whose No. 1 single “Like A G6″ and No. 7 single “Rocketeer” have sold over 13 million singles worldwide. PJ is a partner in Neophonic, one of the largest Music Supervision firms in the US. In 2012, he placed No. 80 on Billboard Magazine’s annual Power 100 List and was named Music Supervisor of the Year by the American Association of Independent Music (A2IM). He is a two-time BMI Pop Award winner, two-time BMI Urban Award winner, two-time ASCAP Pop Award winner and has received a host of other awards and accolades. 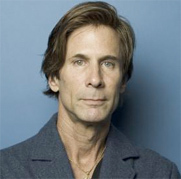 He is also a founding member of the Guild of Music Supervisors (GMS). PJ speaks regularly around the country and the world on the subject of music in the visual arts and has been a club-level DJ for over 25-years. Ann Kline earned a BA from UCLA and a JD from Southwestern University School of Law. She practiced law in the music department of the William Morris Agency before starting a career as a music supervisor. For the bulk of her career she ran the music department for John Wells Productions. In her position at JWP she supervised many television series’ including ER, The West Wing, Third Watch, and the feature films White Oleander, Nearing Grace and The Company Men. Outside of her work for JWP, she supervised the TV series Studio 60 on The Sunset Strip, Pan Am, Harry’s Law and A Gifted Man and worked on such films as 20 Dates, Suicide Kings, Jackie Brown and the recent release The Babymakers. Currently she is working as an independent music supervisor on Shameless, Under The Dome and the brand new Fox comedy Us & Them. Outside of music supervising, she has taught the UCLA extension class on Music Supervision. 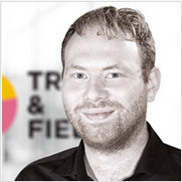 Christian Mix-Linzer is the CEO and founder of Tracks & Fields, a music licensing and supervision service in Europe that finds and licenses campaign music for clients such as Audi, Porsche, Hyundai, Ebay, Google, Orange or McDonalds. Wolverhampton, England native Sat Bisla has certainly enjoyed a multi-faceted career in the music industry. Over the years, he’s worked as a DJ (including an on-air stint at the tastemaking KCRW Los Angeles), radio programmer (KKDJ “The Edge” Fresno, CA) club booker, artist manager (Rob Dougan, Kate Havenevik, Pilate Speed), A&R scout and consultant for Interscope, Atlantic, Epic, Columbia, Sony, Island, Warner Bros. Records, Nettwerk (consulting for Dave Holmes who now manages Coldplay worldwide) and many others. Bisla has also worn the hat of a club owner, booker, and DJ. Furthermore, he was the Radio Editor for the US radio and record industry trade magazines Album Network and VIRTUALLYALTERNATIVE. Bisla was integral in either the discovery or development of such Platinum-selling artists as Dido, Keane, Faithless, Fatboy Slim, Muse, The Temper Trap, Ting Tings, Sam Sparro, Coldplay, Missy Higgins, LMFAO, Bonnie McKee (writer for multiple smash singles for Katy Perry), and many others for the American audience. It was with the establishment of A&R Network, the innovative independent artist discovery and development platform, when Bisla truly started to make his mark on the global music front. The world’s largest radio broadcaster – Clear Channel Radio along with live entertainment giant Live Nation, acquired A&R Network in 2001, where he assumed the worldwide role of Vice President. In addition to being the VP for A&R Network, Bisla constructed the creative foundation for Clear Channel’s New Music Network (an artist/consumer social networking platform back), which has since evolved into one of the most prominent internet radio platforms, iHeartRadio. Shortly thereafter, the British-born, Beverly Hills-based Bisla founded A&R Worldwide, where he played a key role in the discovery of many promising new artists, which lead to multiple deals being signed. Bisla was kept busy, actively uncovering unsigned, talented artists while also writing the weekly A&R column for Radio & Records (the leading US radio and record industry trade publication). Bisla had a brilliant idea stem from casual networking dinners he hosted with fellow executive friends, such as Dave Holmes. This idea became what is now known as MUSEXPO, the influential global music, media and technology conference that takes place each spring in the burgeoning global entertainment hub, Hollywood, California. This is not the average conference, as it attracts many hundreds of like-minded folks with a vested interest in music, as well as artists showcasing from over three dozen countries worldwide. Additionally, he helped launch MUSEXPO Europe and was a founding partner in One Movement for Music Perth (which was the largest music industry conference/music festival in the Southern hemisphere). Bisla also co-founded The Worldwide Radio Summit, the leading global forum which unites all those with a vested interest in the world’s most influential and impactful communicator of sound-radio. September 2006 saw Bisla’s launch of the fully independent Pangaea Entertainment Group, the new home to A&R Worldwide and MUSEXPO brands. Pangaea is also the parent to Bisla’s creation “Passport Approved,” a two-hour weekly import radio show broadcast on the acclaimed www.indie1031.com in Los Angeles, which is also syndicated coast-to-coast on stations such as 88.5 FM KCSN Los Angeles; KNRK Portland, OR; WCNR Charlottesville, NC; KCMP “The Current” MN, KRZQ Reno NV; KRML CA; 99.1FM Radio Doble Nueve Lima, Peru and others. The program has given international acts such as Duffy, Lily Allen, Wolfmother, Arctic Monkeys, Editors, Adele, Ting Tings, Teddybears, Klaxons, Sam Sparro, White Lies, Bloc Party, Corinne Bailey Rae and many others their first radio airplay in N. America. Bisla continues to keep his hand in international affairs, programming and hosting a “Passport Approved” radio segment twice-weekly for Germany’s Flux FM (broadcasting in Berlin, Brandenburg and Stuttgart, as well as consulting music events, companies, artists, and executives on five continents around the world). Furthermore, he’s the Founder & Publisher of the global music industry publication One Movement FM. 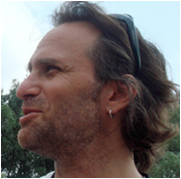 Born in Israel and raised in New York City, Goren was born into a family of artists that includes a sculptor, painter, and filmmaker. Encouraged early to study piano, he was heavily influenced first by classical composers, and then by the Beatles and film composers Ennio Morricone, Jerry Goldsmith and John Barry. He started composing during his studies at NYU, where he graduated with a BA in Film and Television Production. 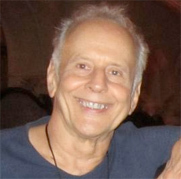 After gigging and touring with several bands in the USA as keyboard player, Goren settled in Los Angeles where he met and worked with the legendary Leonard Cohen on the acclaimed CD The Future (1992) as arranger and co-producer. Also in 1992, Goren teamed up with fellow composer Jeffrey Fayman and founded Immediate Music, which has become one of the preeminent suppliers of original music for motion picture advertising. From his first trailer score for Universal Pictures "Carlito's Way" in 1993 to recent high profile campaigns for films such as “After Earth”, “Oblivion”, “Iron Man 3”, “Cloud Atlas”, “Argo”, “The Hobbit”, “The Dark Knight Rises”, “Amazing Spider Man”, “Harry Potter and the Deathly Hallows pt. 2”, Goren and Immediate Music continue to provide cutting edge music to all major motion picture studios through both custom scoring and the acclaimed Immediate Music production library. With over 5,000 trailer-related synch licenses to date, the composing team of Goren and Fayman are arguably the world’s most-often utilized composers in the $3.3 billion motion picture advertising industry. In 2007, Goren’s work on NBC's “20th Torino Winter Olympic Games” earned him an Emmy Award for "Outstanding Music Composition in a Sports Program". In 2008, Goren was the recipient of a composing award from BMI, of which he has been a member for over 20 years. He was also recently honored with the Vanguard Award by the Hollywood Music & Media Awards, in recognition of Immediate Music’s success as pioneering producers of trailer music. In 2009, Goren became the first person to ever perform a live orchestral and choral concert of trailer music compositions, as part of his “Trailer Music Live” performance series. Through his commercial record label Imperativa Records which he founded in 2006, Goren has trailblazed the public release and distribution of high quality epic orchestral music. In late 2012, Imperativa released the third chapter in Immediate’s acclaimed “Trailerhead” series. As president of Immediate Music, Goren works daily at the company’s studio facilities in Los Angeles, California, with regular forays to concert halls and studios worldwide to produce Immediate Music’s trademark orchestral recording projects. Hayman will tell you that Supersonic stands for "music supervision x sonic branding". But if you ask any of the countless brands, artists, creative directors, or movie & television producers that he's worked with over the years, Supersonic is representative of a true, honest and authentic approach to finding win/win situations for everyone involved in any of his projects. Whether it be thru finding the perfect song for a dramatic moment, diving deep into his global network of publishers, labels and artists directly to nail the perfect sound for any given TV spot, or developing integrated experiential campaigns to enable brands to connect impact-fully with their audience, David's success can be attributed to putting equal emphasis on "Super" relations and "Sonic" prowess. Through his decade as a music supervisor, Hayman has worked on countless award-winning shows and advertising campaigns, including series like Rookie Blue for ABC and other hits on Global, CTV, CBC, and NBC. On the ad side, his music placement portfolio boasts campaigns for Telus, Volkswagen, TD, Coca-Cola, Blackberry, Toyota, Ford, MTV, GMC Chevy, Virgin, Logitech and the classic, Dove Campaign for Real Beauty 'Evolution' ad, which broke records for winning (literally) every major award category it could. 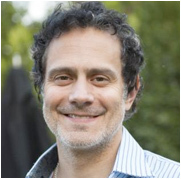 On the events side, David has conceptualized and executed memorable campaigns for Corona, Coca-Cola, and Nestea. His list of film credits are far too long to list but include many studio and independent feature films and the occasional pet-project which David, a filmmaker at heart, cannot seem to avoid. David is also the Creative Director of project ONEFIVEOH, celebrating the lead-up to Canada's sesquicentennial. Despite his credentials, Hayman is disinterested in resting on his accolades-to-date. Instead, his drive to continue to accomplish the unthinkable for his clients and his friends (which soon become one-in-the-same) is his defining characteristic. As the relationships between music, moving pictures and real-life experiences continue to become intertwined, it is David Hayman and Supersonic Creative that forge that creative entanglement. Mike Jansen’s career has spanned both the music and marketing industries. As an entrepreneur he has executed street level marketing campaigns across North America and launched his own booking agency touring DJs throughout Asia, where he lived for 4.5 years. A stint in artist management led him to his current position as owner of The Greater Goods, a boutique sync & publishing agency focusing on sync placements and bespoke composition. The company’s strong focus on a&r has led to placements on CSI, FIFA 13, trailers for Mortal Instruments and Last Vegas as well as ads for Google, Kmart, and Kohler. Aside from continued TV & Film syncs, The Greater Goods is currently working on in game music for the upcoming UFC video game as well as bespoke music for ads and movie trailers. 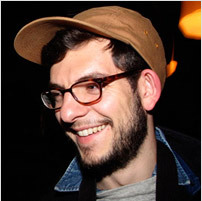 Hollywood Music in Media award-nominee Simon Landry is a Music Supervisor at Ubisoft Montreal. He has worked on many games such as Far Cry 3, Blood Dragon and more recently Assassin’s Creed Black Flag. 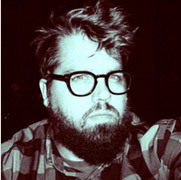 He is also a member of Montreal synth-softrockers Secret Sun. Benedicte Ouimet is a trained musician and tonmeister. She joined the music industry after her studies to work in advertising and later as a digital editor for CBC records, getting credits on award winning records. She gets hired by Ubisoft in 2004 and spends the following years teaming up with over 15 productions of the Montreal, Annecy, Quebec and Shanghai studios as a sound designer. In 2007, thanks to her strong music background she proposes to create a new position and becomes a music supervisor. 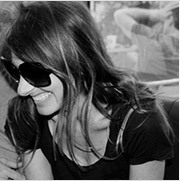 With experience on over 25 game titles, Benedicte contributed to the music of some of the most successful franchises in the world including Splinter Cell, Far Cry and Assassin’s Creed. Michael spends his days and nights watching films and TV, listening to music, reading scripts, negotiating and moshing. His previous work included stints in advertising (U2 “Pop Tour”), Music Publishing (EMI Music Publishing Canada), artist management and Director of Music Supervision at SL Feldman & Associates. He now owns and operates instinct entertainment. Ron Proulx owns Canada's leading music supervision company Arpix Media, handling all music creative and business affairs on countless productions for a who's who of Canadian companies and filmmakers. 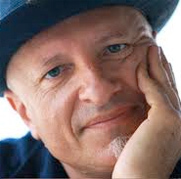 Originally a songwriter, he also manages several film composers. Ron is also co-owner of The Rights Company, an intellectual property research and clearance company specializing in script reports for film and television, and the author of two ebooks, the most recent being "hownot2suck@businessnbeing" - a handbook for young entrepreneurs - as well as a guide to music licensing "How To License Your Music Into Movies and Television." 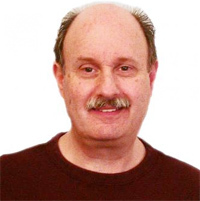 Steve Schnur was born outside of New York City. At age 7 he began to study guitar, piano, composition, production and arrangement at Carnegie Hall. By the time he attended college he became a full time intern at MTV in its earliest days where he helped to influence the programming decisions behind the debuts of Madonna, Michael Jackson, The Cure, Motley Cure, amongst many others. He went on to hold various executive positions with the Warner Music Group, EMI and BMG, and was behind the debuts of artists ranging from Metallica, Sarah McLachlan, Bjork and Coldplay. Steve went on to work as music supervisor for Sandra Bullock’s production company, Fortis Films, where he supervised and produced music for the hit comedy MISS CONGENIALITY (which garnered a Golden Globe nomination for best original song). Steve is currently the Worldwide Executive and President of EA Music Group for Electronic Arts where he has been responsible for the launch of artists ranging from Thirty Seconds to Mars, to Katy Perry, including his production of Florence + the Machine’s “I’m Not Calling You A Liar”. His hands-on approach with composer selection and score production has earned EA over 50 soundtrack nominations over the last 10 years in which Steve has produced over 100 EA soundtrack albums. With the formation of Artwerk Music Group, through which EA now directly signs, develops and launches artists for publishing, master recordings, sync deals and distribution, Steve, as its President, has signed alternative breakthroughs Matt and Kim, Chromeo, and Ladytron, amongst others. Steve has been profiled by the New York Times, London Financial Times and CNN. Additionally, he was selected as “One Of The Most Creative People In Entertainment” by Entertainment Weekly, both “One of the Most Powerful People in the Music Business” and “One of the Top 20 Power Players in Digital Entertainment” by Billboard Magazine and “One of The Top 25 Power Players in the new Hollywood” by The Wall Street Journal. In 2009 he was awarded “International Music Person of the Year” at MusExpo’s annual music conference in Hollywood. Steve Schnur is also a board member of City Of Hope, a voting member of the National Academy of Recording Arts & Sciences (NARAS), a board member of the Country Music Association and served as both Chairman and Chairman Emeritus of the Grammy Foundation. In December of 2009, Schnur received the ACLU “Bill of Rights” Award alongside Robert Redford, Michelle Satter and Cara Mertes of the Sundance Institute and Film Festival. In 2011, Steve produced the number one Billboard dance chart hit “Dance On” and top five Billboard dance chart hit “Undivided”, featuring Snoop Dogg. Additionally on Grammy day in 2012, Steve received the Music Supervisor of the Year Award from the Guild of Music Supervisors. Gary Taylor, President & Co-Founder / Velvet Shoreline Entertainment / Gary Taylor Management & Consulting & Executive VP International / Canadian Music Week. Since the age of 15 years Gary Taylor has been seriously involved in the music business. It began the day he started drum lessons with Jim Blackley, a renowned author of percussive publications and one of the of the most respected and sought after drum teachers in the World today. Mr. Blackley's students have gone on to play with the likes of Count Basie, Dizzy Gillespie, John Coltrane, Herbie Hancock, Paul McCartney, Sting and Annie Lennox to name a few. Gary's dedication to Mr. Blackley's teachings earned him an early rise to the professional ranks. At the age of 17 he played with the Vancouver Symphony Orchestra. He continued his journey through his studies with Blackley and became a skilled Jazz and rock drummer. He was an acknowledged protege of Blackley, absorbing his character, wisdom and talents through their extremely close relationship. Gary became Mr. Blackley's right hand man as his associate teacher at the age of 18. The foundation was laid for a colorful, successful and creative career in the entertaiment industry. 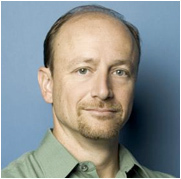 ASCAP Senior Director of Film & TV Music and Visual Media, Michael Todd, is a leader in the film and television music industry with over 20 years of experience. At ASCAP, Todd fosters relationships with high-profile members, builds and protects current repertory and market share, and helps composers and songwriters develop their careers. He regularly interfaces with major and independent music publishers, film and TV studio executives, soundtrack label executives, composer agents, attorneys and managers, music supervisors, music editors, publicists, advertising agencies, high-profile recording artists and the music departments at prestigious universities. Todd is a board member of the World Soundtrack Academy, which produces the World Soundtrack Awards at the Ghent International Film Festival. He is also a consultant to the Krakow Film Music Festival in Poland, the Festival International de Music de Cine in Córdoba, Spain, and Fimucité Tenerife International Film Music Festival in the Canary Islands. He has conducted interviews with major composers internationally, and given lectures on career building for aspiring composers. For the past 14 years, Todd has led and produced the acclaimed ASCAP Television & Film Scoring Workshop with Richard Bellis. This four-week intensive “boot camp” is designed to cultivate the next generation of film composers from around the world and provide access to Hollywood’s top resources. Alumni have gone on to build successful careers, garnering major awards and nominations (Emmy, Grammy, BAFTA, G.A.N.G. awards, international film festivals). He has also produced panels, mentor sessions and live performances for ASCAP’s annual “I Create Music” EXPO and has contributed to the mentor program at the USC Thornton School of Music. A graduate of the University of Miami with a degree in Studio Music and Jazz Performance on saxophone, Todd continues to perform and record professionally throughout the US and around the world. 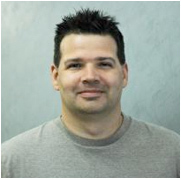 A 14 year industry veteran, Jean-Frédéric is Senior Director in charge of Production Services at Behaviour Interactive, where he leads a multi-disciplinary team of audio, QA and art to support all of the company’s productions. He’s worked on over 70 games, as sound designer, composer or audio director, and has worked with some of the best game composers in the business. 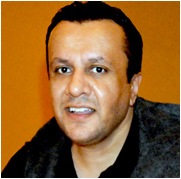 He has been a speaker in professional schools, universities, industry conferences and the Audio Engineering Society. 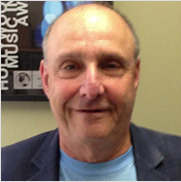 Steven Scharf's 44 years in the recording industry has covered areas of record producing, A&R, music publishing, and management. In 1991, he founded Steven Scharf Entertainment, a producer management company, and ventured with legendary music publisher Freddy Bienstock of Carlin America serving as their Sr. V.P. Creative. Since then, SSE has represented a wide array of international producers and film composers and licences over 100 artists for film and television. Steven is also a founding member and V.P. of the Music Managers Forum-US and a voting member of The Recording Academy. Born in Lyon, France on February 17th, 1974, Joss Dumas first started in the field of advertising in 1995 at DDB Paris as a junior executive. He then moved to London in 1997 where he joined the electronic music scene and co-founded the collective / monthly party Moon Palace, a Sunday chill out session where musicians from all horizons came to DJ in the afternoon (3pm to midnight). 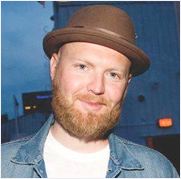 Strong of a great experience in organising parties and events in London, Joss moved to New York in 2001 where he joined the circuit of bars and clubs and founded monthly music gathering Bazaar, where left field musicians of the alternative scene came to perform around very eclectic DJ sets. Back to Paris in 2003, he worked in advertising (DDB Paris) and took the position of Music supervisor in one of France’s most awarded agencies. In 2006, he left to pursue a freelance career as Music Supervisor where he worked on different projects for a wide variety of advertising companies both in France and the UK. He arrived in Montreal in 2008 to join production studio, Audio Z, where he worked as Musical Director. Then was recruited by Groupe Archambault to start a new Synch department and worked there as Music Supervisor and Licensing Manager since 2011. Since he moved to Canada, he has worked on many major brands’ advertising campaigns, licensing and promoting both local and international music. He worked on campaigns for Bud Light with Malajube and Blonde Redhead, Rona with Ennio Morricone, Nissan with Bruno Mars, Home Sense with Bob Merill and Fanny Bloom, Toyota with Noriel Vilela, Diet Coke with Karkwa, Danone with Doris Day, Ubisoft with Guards, Bristol Meyer Squibb with U2, to name a few. Joss also began working on movie productions in 2011 with several short films and documentary assignments. This led to getting full supervision responsibilities on feature films such as Discopath by Renaud Gauthier where he licensed music by Kiss, Roni Griffith, Walter Murphy, KC and the Sunshine Band, Robert Charlebois, The Ad-Libs, Plastic Bertrand. In 2013 he worked on Ricardo Trogi’s 1987, the sequel to the much acclaimed 1981 from the same director. Music featured in the movie is from international artists such as The Pet Shop Boys, Quiet Riot, Alphaville, Martine Saint-Claire, Run DMC, A Flock Of Seagulls, Luba, Marillion. Other projects that Joss is working on include music supervision of NOIR by Yves-Christian Fournier, a movie that tells the story of the local underground Hip Hop scene. Le Berceau des Ange, a television series (6 episodes of 50minutes), as well as Mirage, the forthcoming film by Ricardo Trogi, featuring Louis Morissette, are also in the works. 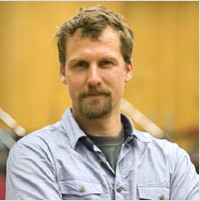 As a sideline to Music Supervision, Joss also produces original scores and sound effects, as well as directing actors in the studio for video games (Rails to Gold, Origins: Elders of Time, Legacy: Tribes of Wawaloo). Space is limited, one slot per person please! Seating is limited and Synch Summit Sessions SELL OUT.